With a contemporary design on the outside and the old school heart of Klipsch beating on the inside the award-winning Reference Series RVX-54 floorstanding loudspeaker is the perfect high-performance audio solution for today's hot-selling plasma and LCD televisions. The RVX-54 has a single-piece aluminum extrusion enclosure. It employs four active 5.25-inch Cerametallic™ woofers and uses a 1-inch titanium-dome compression drivers mated to a round Tractrix® Horn for maximum clarity and efficiency. 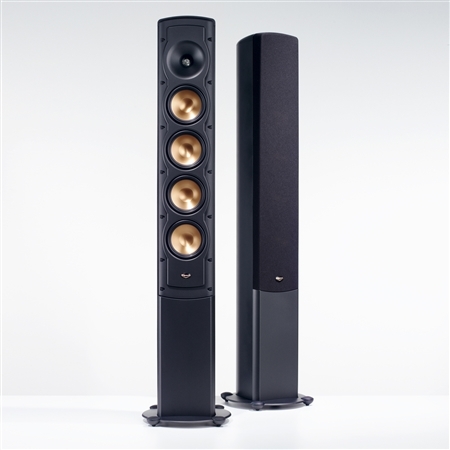 Available in the same black finish as the Klipsch Reference Satellites the RVX-54 which is packaged and sold individually can be combined with these compact speakers to create complete systems. For example you can create a 5.1-channel surround sound system using a pair of RVX-54 main channels a pair of Reference Satellite RSX-4s for surrounds an RVX-42 for a center channel and a Reference Series RW-12 subwoofer. Don't let the slim appearance of the RVX-54 fool you. This amazing loudspeaker has a powerful punch that creates anything but thin wimpy sound. 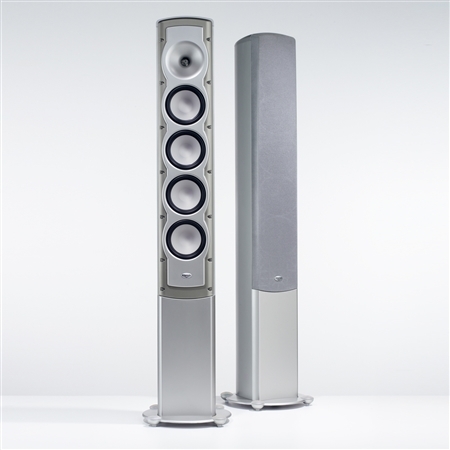 In fact it snared a CES Innovations Award for being one of the best designed and engineered audio products for 2005. While no longer in production the RVX-54 is still owned and listened to by Klipsch fans around the world. To connect with other people who are passionate about audio and interested in Klipsch products visit our open forum bulletin board.